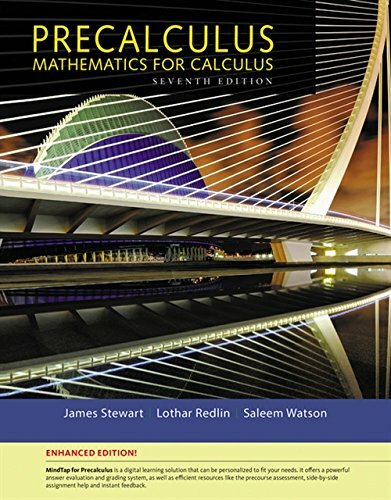 With its clear and simple writing style, PRECALCULUS Enhanced Edition, Seventh Edition, will give you a solid foundation in the principles of mathematical thinking. Problem solving and mathematical modeling are reinforced throughout. This comprehensive, evenly paced book provides complete coverage of the function concept and integrates substantial graphing calculator materials that help you develop insight into mathematical ideas. Online resources available with the text give you the practice you need to improve your grade in the course.